The Global Shea Alliance and the U.S. Agency for International Development (USAID) has signed a $13 million, five-year agreement to promote shea markets worldwide and improve sustainable production in Africa. This was contained in a press statement made available to FIN by the Public Affairs Section, U.S. Consulate General in Lagos. According to the statement, under the Global Development Alliance, at least 40 warehouses will be constructed in Nigeria and 40 women’s groups will be formed and trained to manage those warehouses for shea collection and processing. “The shea industry is changing and companies, governments, and donors are investing more in sustainable production and improving the benefit to 16 million women collectors and processors,” says Moumouni Konate, President of the Global Shea Alliance. “The goal of this critical partnership is to help women collectors and processors organize into cooperatives, obtain equipment and training, and improve the financial benefit from the sale of their products. During the Global Shea Alliance’s annual conference in Accra, Ghana, USAID/West Africa Mission Director Alex Deprez said, “We know well the benefits of increased trade for rural communities across Africa. 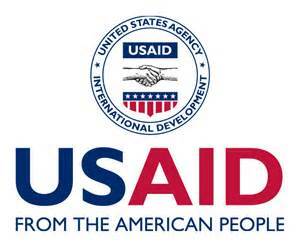 The partnership will match up to $6.5 million in USAID funds with $6.5 million in private sector funding raised by the Global Shea Alliance to implement promotional and sustainability activities in Benin, Burkina Faso, Cote d’Ivoire, Ghana, Mali, and Nigeria.